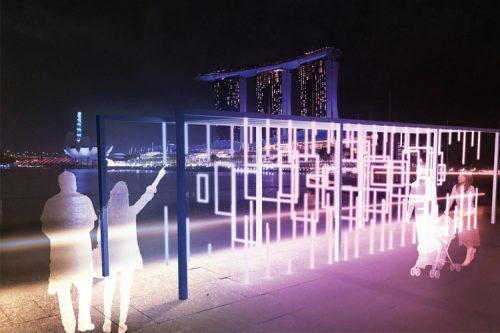 Curated to the theme “Bridges of Time”, i Light Singapore – Bicentennial Edition will be held from 28 January to 24 February 2019, featuring a total of 32 artworks, comprising 31 sustainable light art installations and a spectacular multimedia show. Seventeen of the 32 artworks are by Singaporean artists, or feature content related to Singapore. This special edition will feature artists from 14 different countries including Singapore. 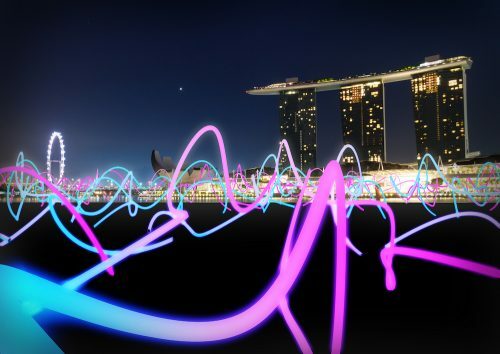 The 2019 edition of the sustainable light art festival delves into the topic of connectivity, while reflecting on Singapore’s history, growth and relationships with the world over the last 700 years. The story of Singapore takes centre stage in many of the artworks next year. 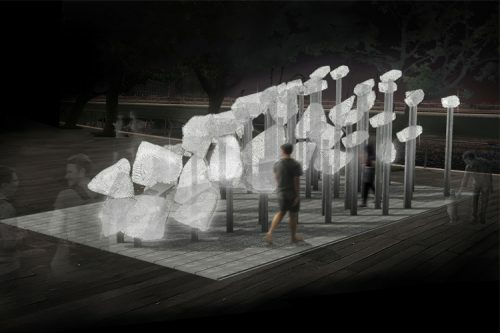 For instance, students from the National University of Singapore, who emerged first in the inaugural i Light Student Award with Cenotaph for a Stone, seek to illustrate the decimation of the Singapore Stone in 1843. While appearing in its entirety as a ‘faux’ stone in frontal view, the installation at Waterboat House Garden aims to intrigue viewers with its deliberate arrangement of the 51 rock fragments and timed, cascading lighting effect that mimics an explosion. 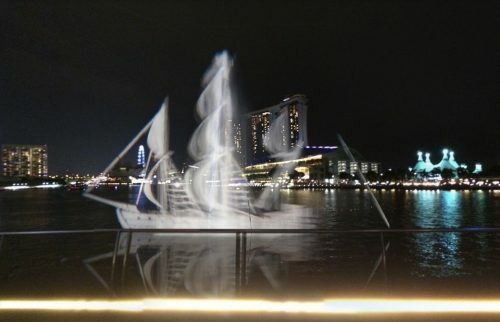 Visitors will also get to see a 3D, light- and water-based hologram of sailboats at the Marina Bay waterfront promenade presented by Studio Biangle from Estonia. 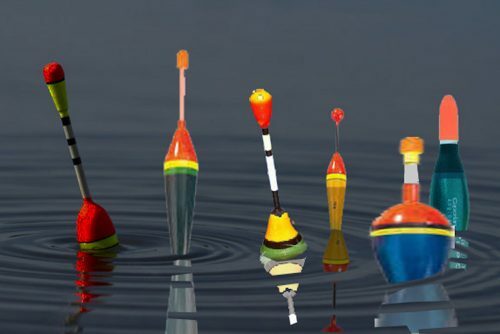 Titled Sails Aloft, the large- scale installation recreates vessels inspired by the sampan panjang, a colloquial term for a long dwelling boat, which the early immigrants of Singapore (Orang laut or ‘sea people’ in the Malay language) used to live off. 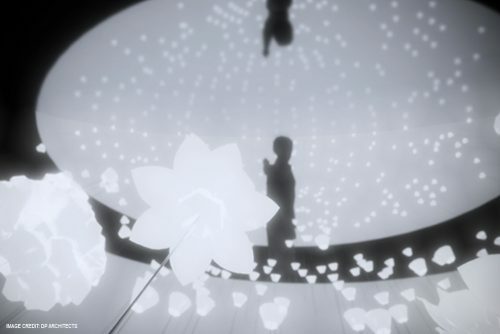 Appearing only after darkness falls, the hologram wavers with the movement of the wind to exude a dreamy ambience, and creates a snapshot of a 19th century sailboat race in the region. Over at Singapore River, Belgian group ACTLD will tell the story of the timeless journey of travellers who discovered Singapore over the years through an immersive multimedia show titled Bridges of Time, which will enchant the audience nightly with lights, lasers, music and projections on water. For the first time, artworks will be installed on six iconic bridges at Singapore River and Marina Bay, namely Elgin Bridge, Cavenagh Bridge, Anderson Bridge, Esplanade Bridge, Jubilee Bridge and The Helix bridge. Collectively, the artworks inspire hope and optimism as we acknowledge the past, celebrate our present, while looking to the future by sparking conversations on the development of Singapore and the world around us. Raffles Terrace at Fort Canning Park was the place of residence for a long line of governors, including Sir Stamford Raffles. The area became an important communication centre after the British established a port here in 1819. Fort Canning itself has a longer history – it was known as Bukit Larangan prior to 1822, where the ancient kings of the Singapura Kingdom were believed to be buried. By extending the Festival to Fort Canning Park, public can explore and better appreciate the historic area while enjoying the light art installations. Over here, visitors will be welcomed by Taiwanese artist Dr. Huang Chin Fu’s Land-pass Bird where 30 birds with their fluorescent blue feathers will perch on the trees that line up the staircase from the foot of the Park to Raffles Terrace. 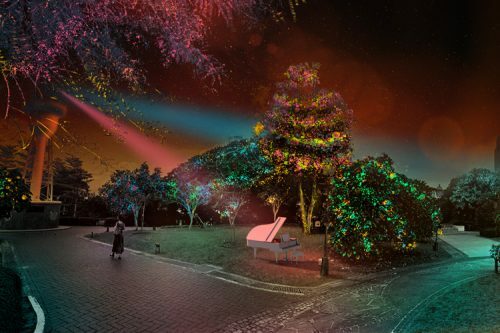 Up at Raffles Terrace, artist Mr.Beam from The Netherlands invites the audience to interact with his piano installation Keys of Light, which reacts to each music note played on the piano and triggers captivating animations in the surrounding environment. DP Architects from Singapore will showcase Why Green? at Marina Bay Event Square where festival-goers are invited to wander within the immersive installation that features 3D-printed plant species inspired by the landscape of Singapore. Over at Clifford Square, Time Traveller, by Indonesian artist Eko Agus Prawoto, is inspired by bamboo fish traps used by fishermen from the ast, evoking collective memories among the communities in this fast-changing era. Standing tall between One Fullerton – a result of development of the new city and Clifford Pier – the old landing point for travellers who arrived in Singapore via sea, the artwork also serves as a bridge between the old and new, and between generations. 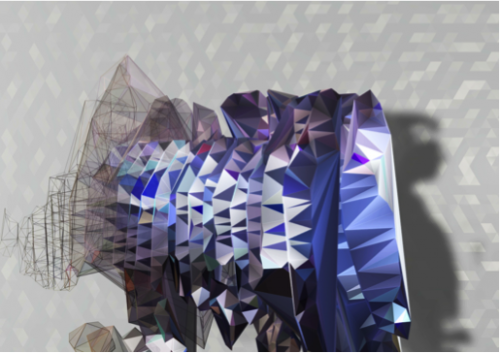 In partnership with LUX Light Festival in New Zealand, one of our three overseas collaborations, i Light Singapore – Bicentennial Edition will also welcome Facey Thing by UJI Studios at One Marina Boulevard. This installation is a fun and satirical celebration of the coming together of selfie culture and universal surveillance to create hyperreal simulated images of ourselves through the art of play. 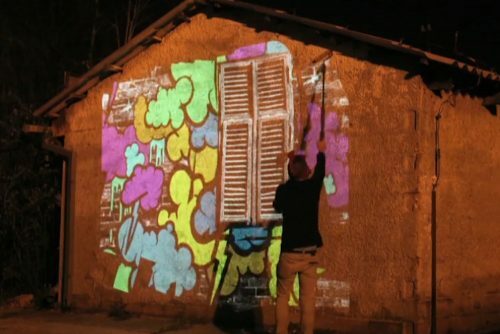 As visitors come into view of the camera, they can interact creatively with their pictures taken on-site by virtually painting with their faces. 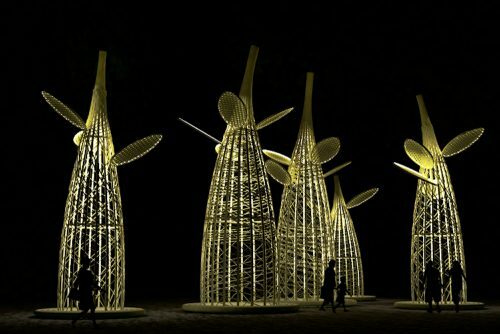 The light art installations will be complemented with a dynamic line-up of programmes and sustainability activities in the different hubs of the Festival. See Annex A for the map of i Light Singapore – Bicentennial Edition artworks as well as details of the full list of artworks to be featured at the Festival. i Light Singapore – Bicentennial Edition will be held from 28 January to 24 February 2019, 7.30pm to 11pm daily with extended hours to 12am on Fridays and Saturdays. General admission to the Festival is free. Visit www.ilightsingapore.sg for more information.